It was 90 degrees today people! 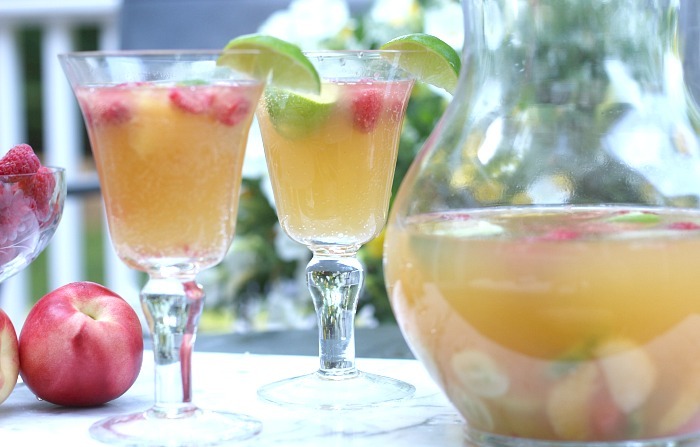 I can’t think of a sweeter way to welcome summer than with a sparkling white sangria punch. This cocktail is so delicious and refreshing. The photos say it all, it is as amazing as it looks. I was totally inspired to make this just from a simple trip to the supermarket. There are so many gorgeous fruits in season now, I’m in the mood to add them to everything I eat and drink. Punches like this are traditionally made in a big batch, so it is a smart choice if you are thinking about entertaining. 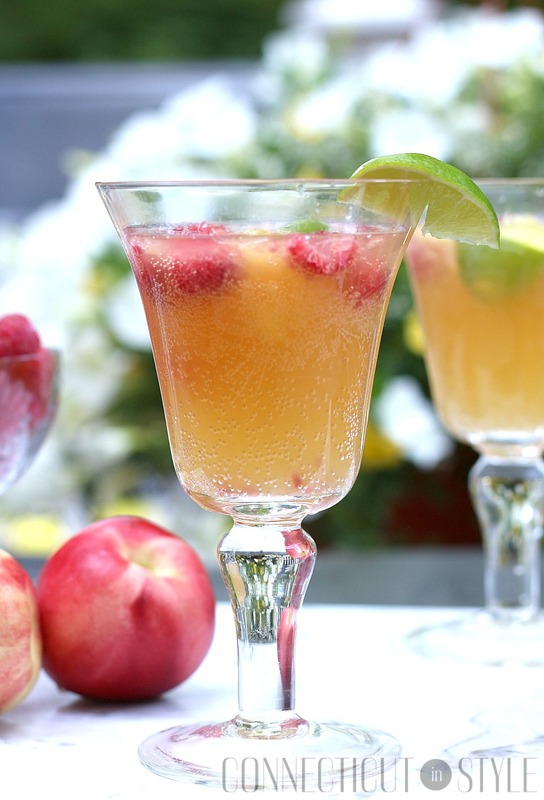 In addition to being a major crowd pleaser, it’s such a pretty drink and makes the atmosphere that more festive. 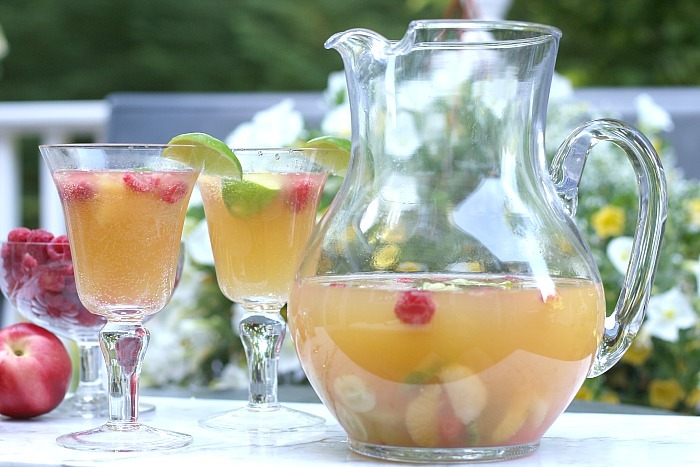 This punch can be made a day before and refrigerated, so it’s one less thing to do before your guests arrive. 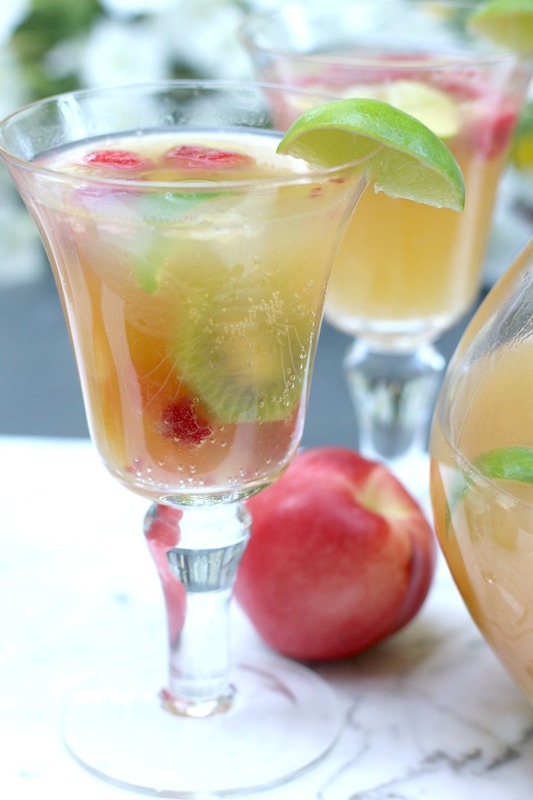 There are a lot of great white sangria recipes out there and there are umpteen combinations of this drink. 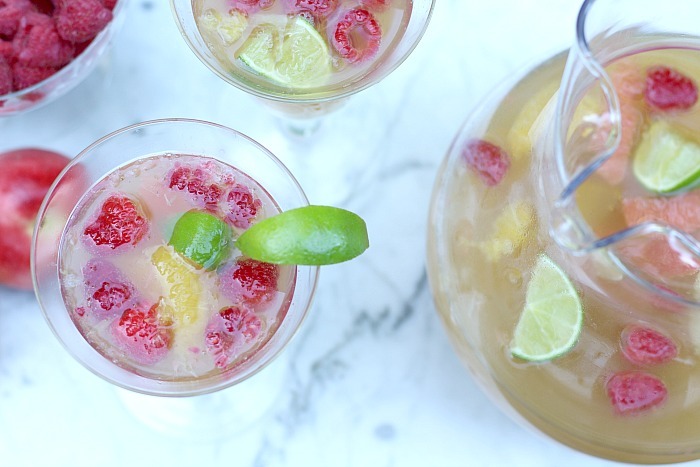 I’ve been playing the role of a mixologist with some white sangria recipes (the sampling has been a lot of fun) and I came up with a blend that I really like. Despite all the fruit, it’s not overly sweet. 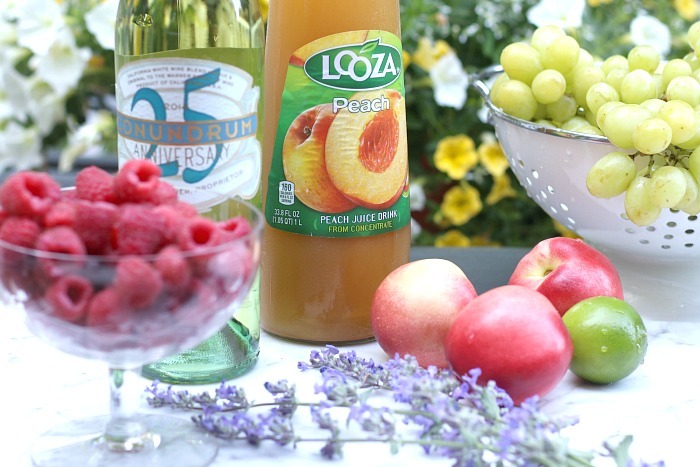 The trick is to add two parts of club soda to one part of peach juice. The club soda tempers the peach juice but still allows the full flavor of the white wine come through. This recipe is super easy and should be made at least a few hours before you plan to serve it to allow all the flavors to develop. It’s an ideal pre-dinner cocktail because all the citrus flavors make for a great palate cleanser which allows this drink to be followed by anything you want to serve. Here’s to enjoying this warm weather! Combine all the ingredients except the raspberries, stir well to blend, then gently add the raspberries. Chill for 2-3 hours and serve with a lime garnish.